A survey conducted by the National Institute for Occupational Safety and Health (NIOSH) indicated that only 8 percent of the 3,686 hospitals surveyed met all the NIOSH basic criteria for an effective occupational safety and health program for employees. The Occupational Safety and Health Administration has recently targeted hospitals for more aggressive compliance audits. Areas which are being emphasized include hazard communication, control of blood-borne pathogens, respiratory protection and electrical safety. In addition, the Joint Commission for Accreditation of Health Care Organizations (JCAHO) has recently established a new standard to emphasize the need for adequate occupational health and safety within the hospital environs. 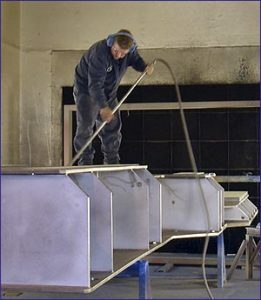 Industrial Hygiene and safety issues are among the many hazard issues that require careful management in the increasingly complex physical environment of hospitals and other health care facilities. These facilities, along with nearly all other industrial organizations in the technological era, are subject to mounting public and political concerns about their methods of handling these concerns. Pressure has never been greater to establish a process for managing these issues. A few of the areas of concern for effective occupational health and safety for the health-care environment are listed below. 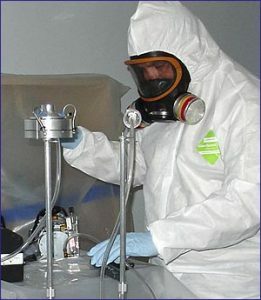 Environmental surveillance and control of chemical hazards: ethylene oxide, solvents, xylene, formaldehyde, benzene, antineoplastic drugs, waste anesthetic gases (halothane and nitrous oxide), mercury, methyl Methacrylate, disinfectants (quaternary ammonia compounds, chlorine, iodophors, phenols), solvents (acetone, trichloroethylene, methanol, toluene), glutaraldehyde, osmium tetraoxide, picric acid, perchloric acid, mutagens and teratogens, carcinogens, azides, silver nitrate, dyes, asbestos, fungal and bacteria monitoring. The diverse health and safety concerns in the health care environment have, until recently, provided the justification for health and safety policies developed mainly for patients, not for employees. 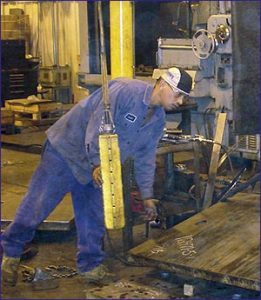 This trend has changed with the increased emphasis of OSHA and JCAHO regulations and mandates.